On milling machines where the table does not swivel the x movement and the y movement can be relied on to be at right angles. This mean if the user makes a cut by moving the workpiece along the x direction and them makes a cut by moving the milling table in the y direction then these two cuts will be at right angles to each other. On a milling machine where the table can be swivelled then, if the table is not set to be square, cut in the x direction and cuts in the y direction will not be square relative to each other..
Aligning the milling table so that it is square involves aligning the y-axis of the milling table and the y-axis of the milling machine. Normally, these would be parallel to each other. For almost all milling operations this alignment has to be as accurate as possible. 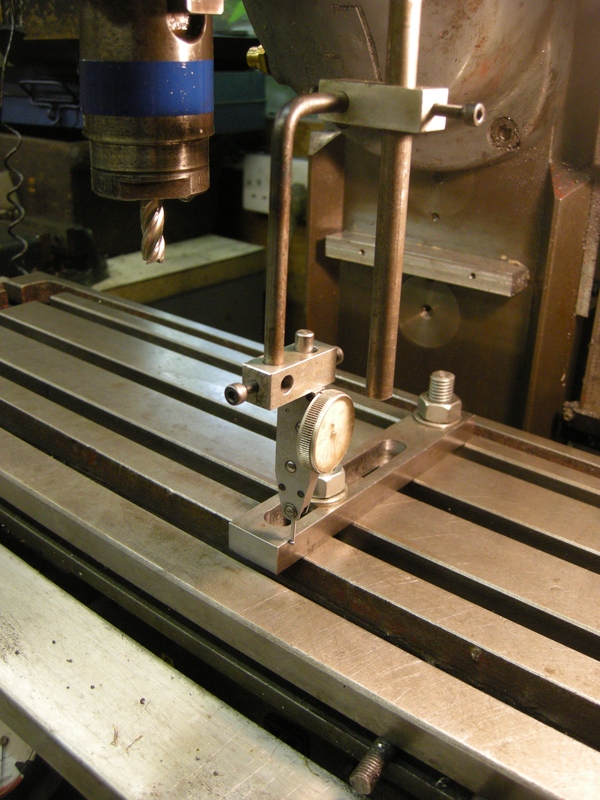 However when the milling table has to be set at an angle, as needed for helical milling, it is probably good enough to set it using the calibrations on the milling machine. This would be close to 1/10 of a degree. This angle can be set accurately by clamping a long fence in the y direction and at right angles to the edge of the table. This is then tested using a DTI whilst moving the table in and out in the y direction. This will not work with the fence clamped parallel to the x-axis. The difference is that when the table is rotated the cuts along the x-axis are always right since the movement along the x-axis also rotates. The cuts along the y-axis are wrong because though the axis of the table rotates the movement along the y-axis does not. Very often a piece of metal that makes an adequate fence does not have a surface that is good enough for really accurate alignment. 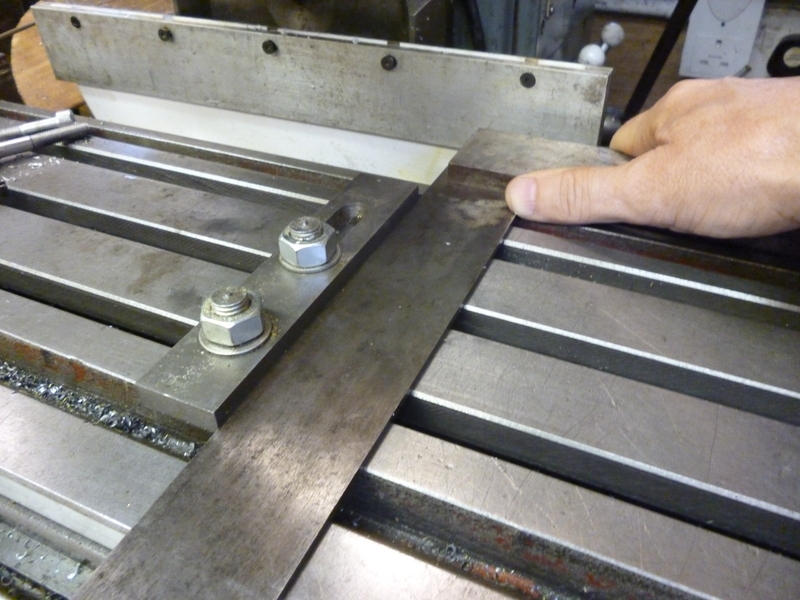 If this is the case it is possible to use a parallel clamped to the milling table instead.